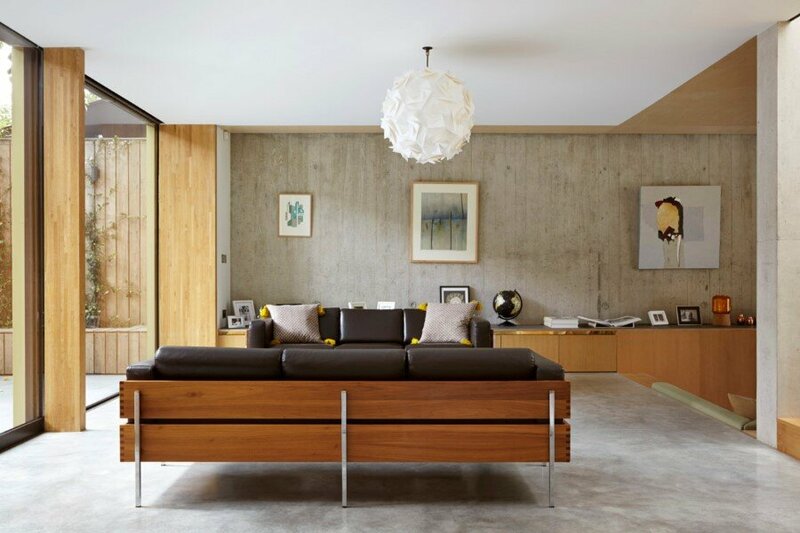 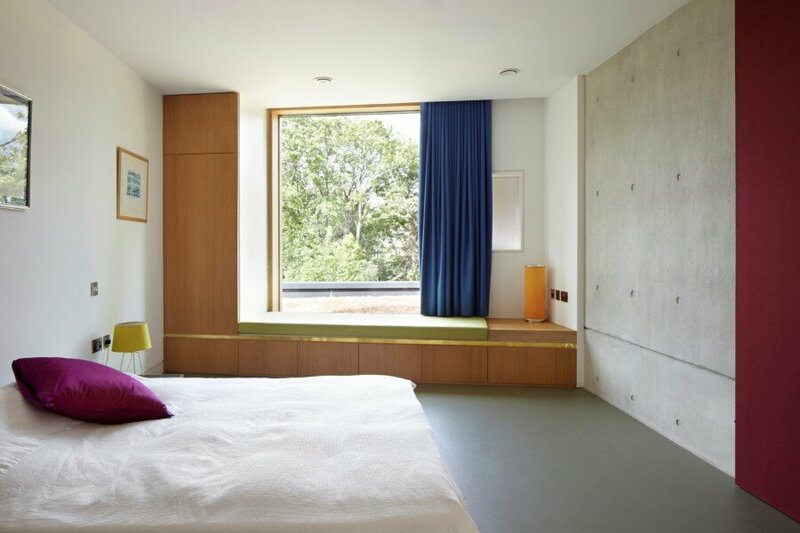 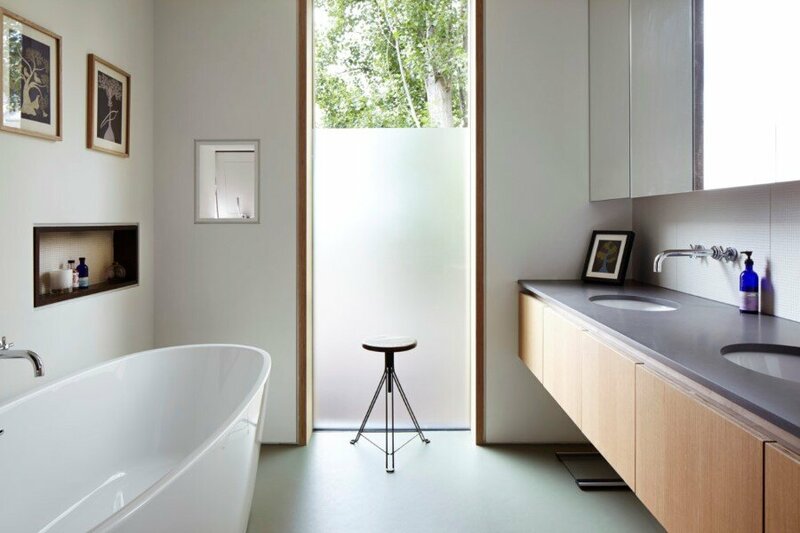 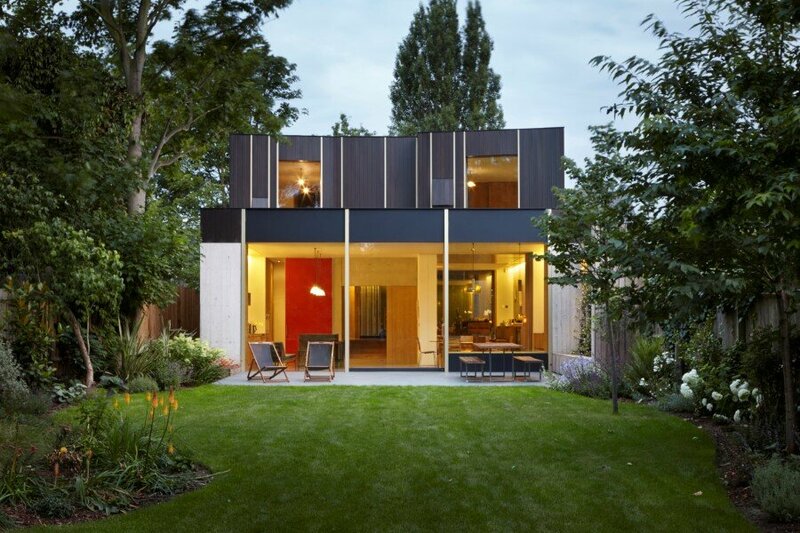 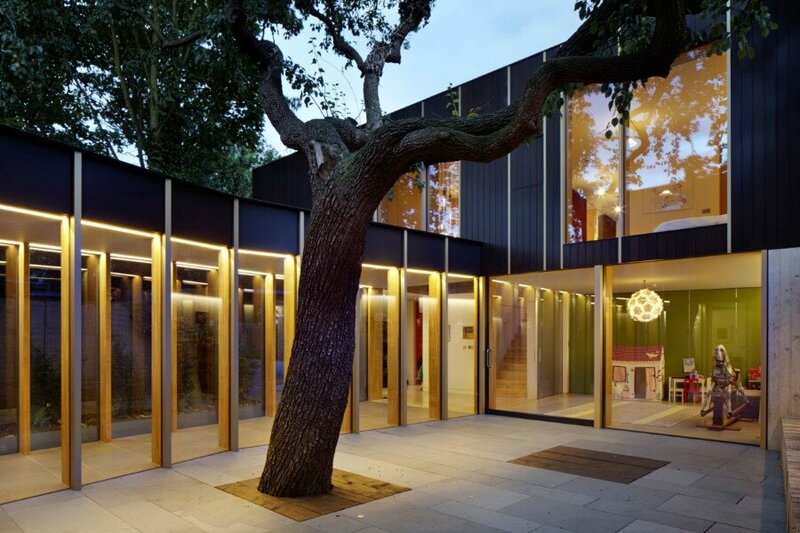 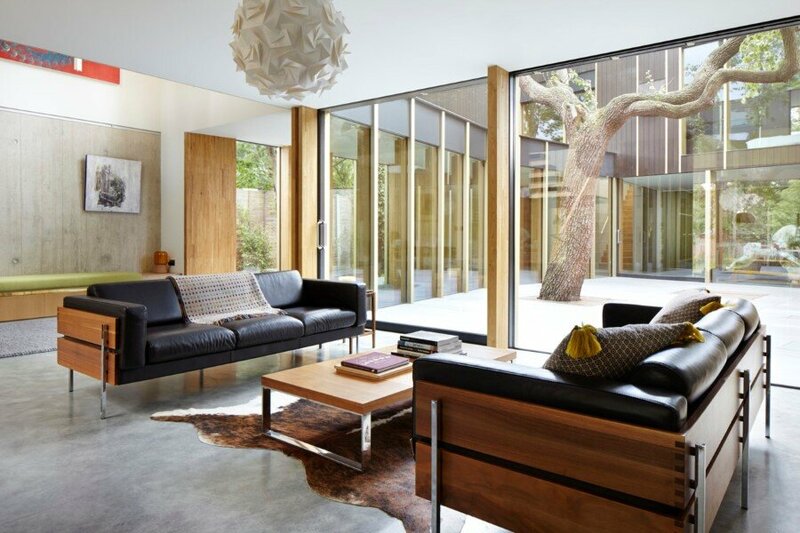 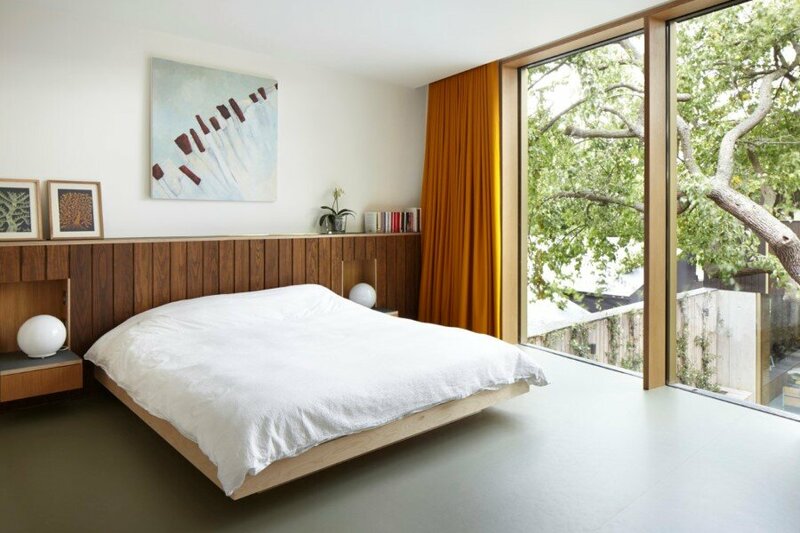 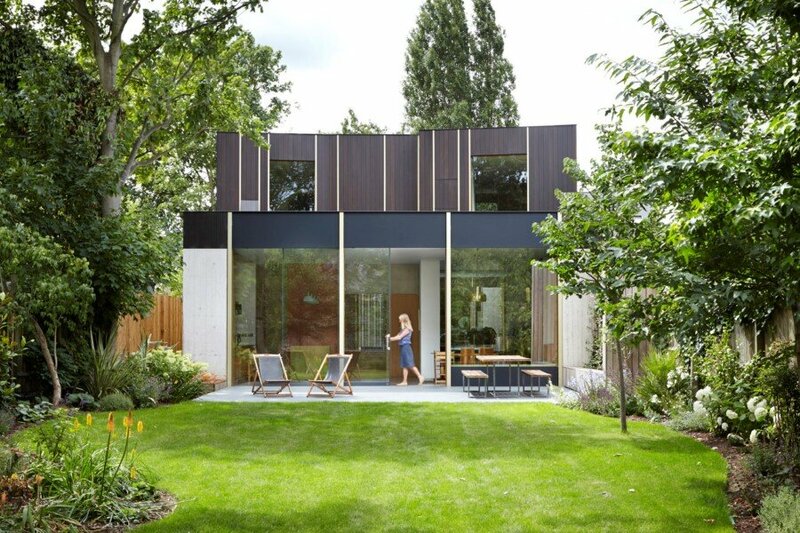 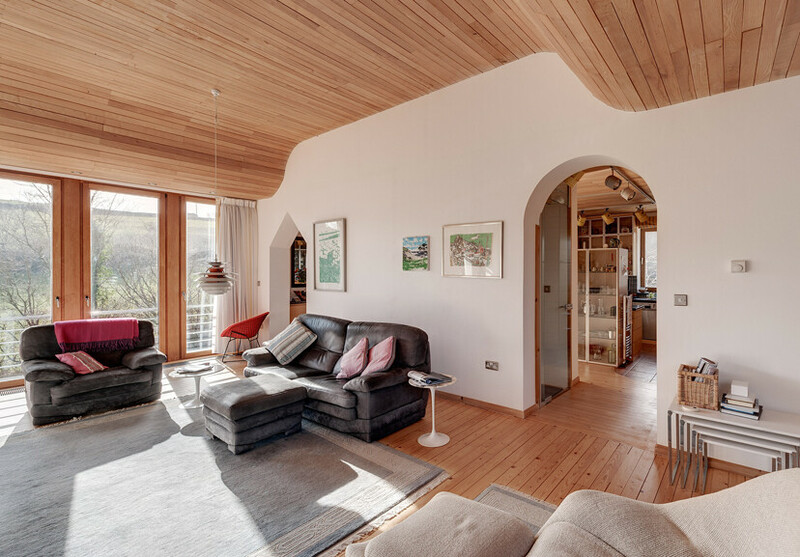 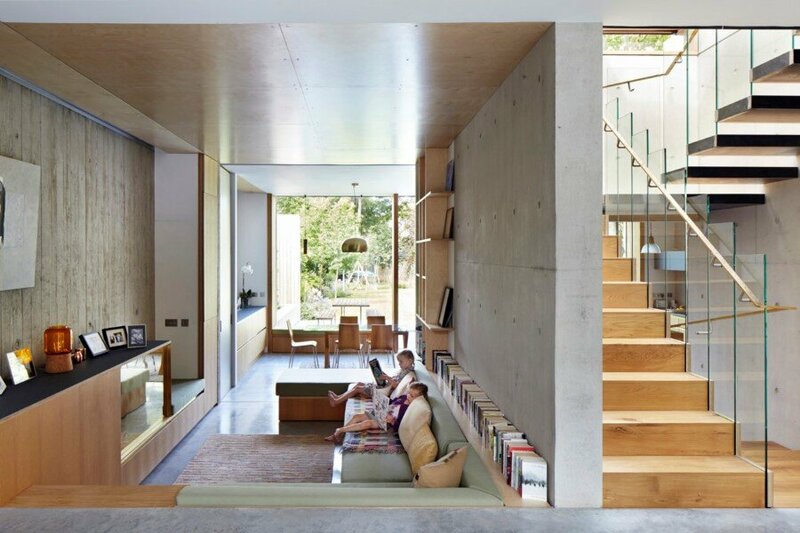 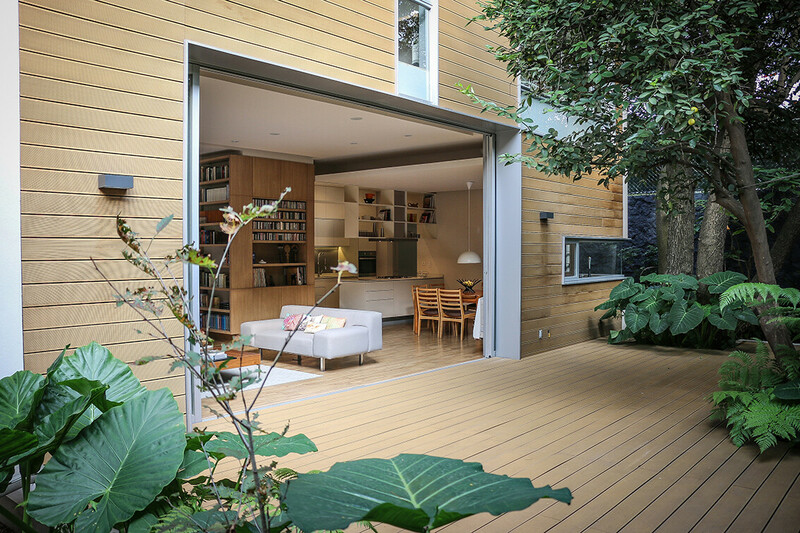 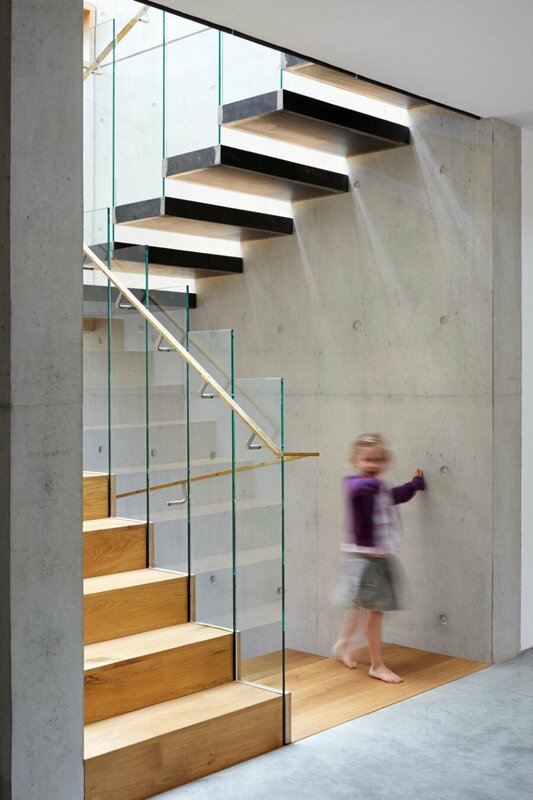 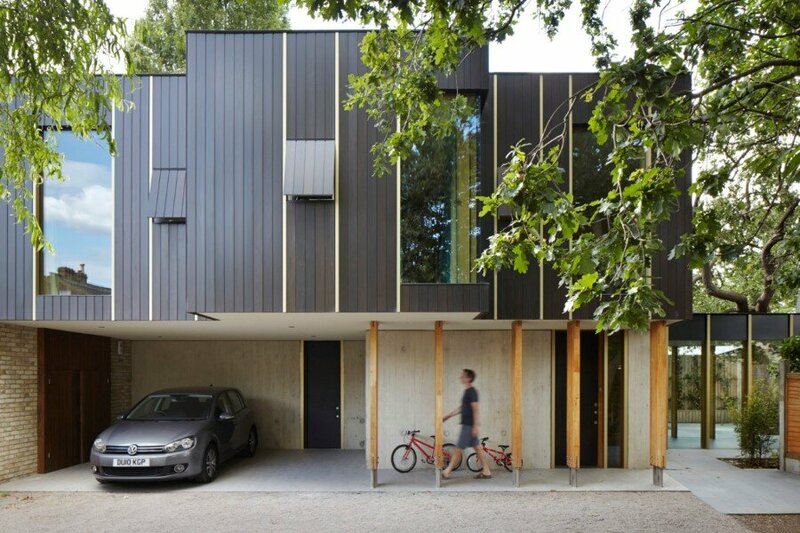 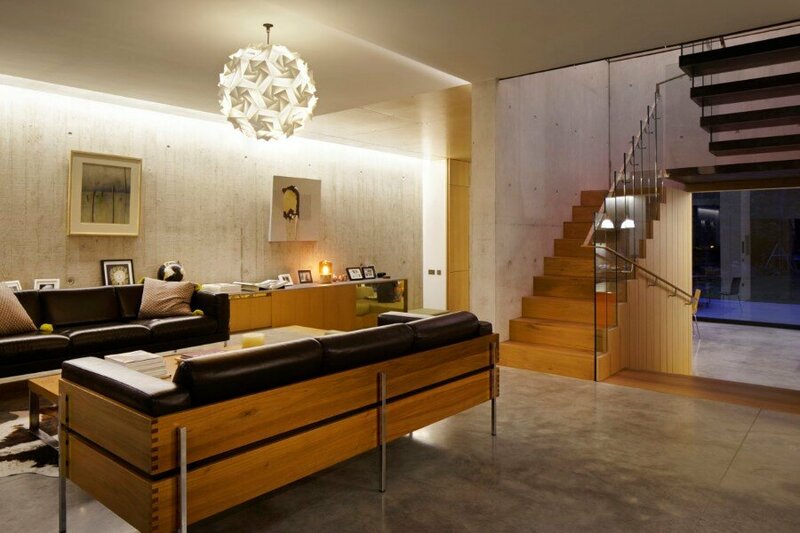 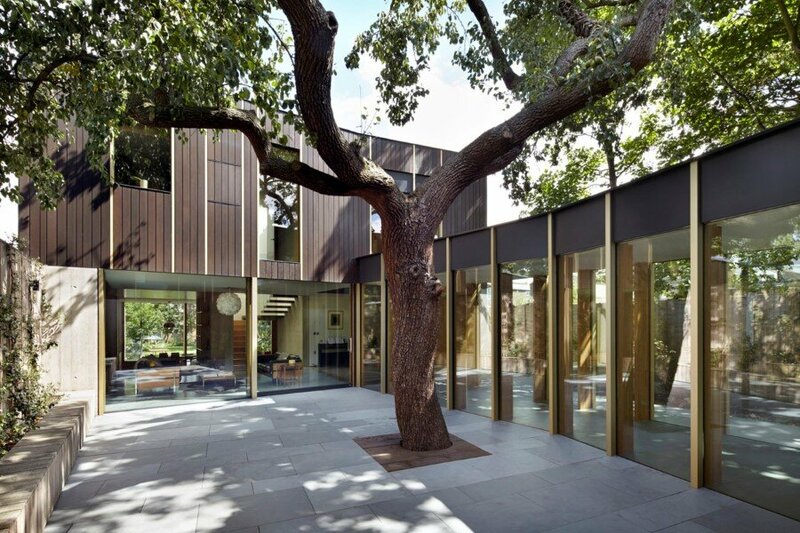 Edgley Design has designed Pear Tree House in South London. 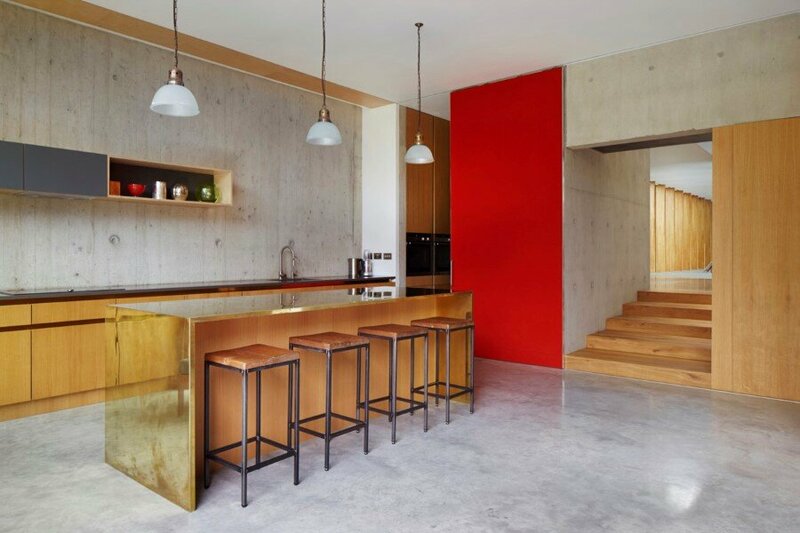 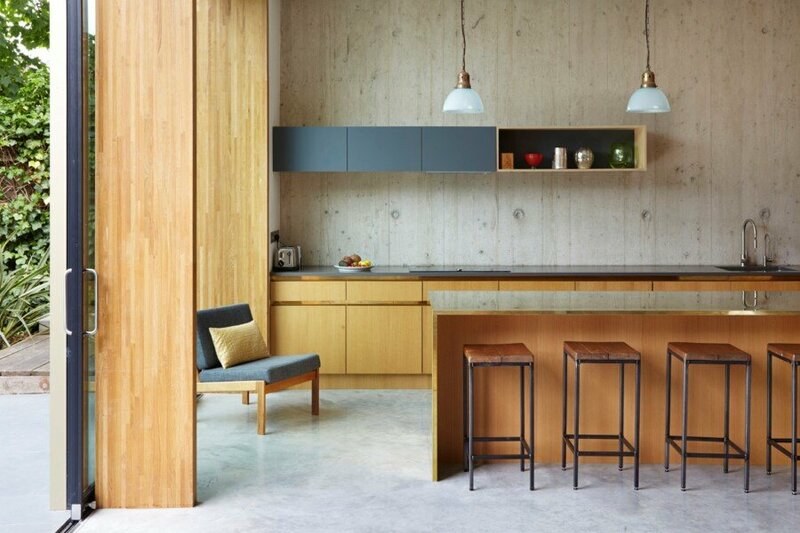 Edgley Design is a young, creative award winning RIBA Chartered architectural practice based in Hoxton, East London, set up by Jake Edgley in 2004. 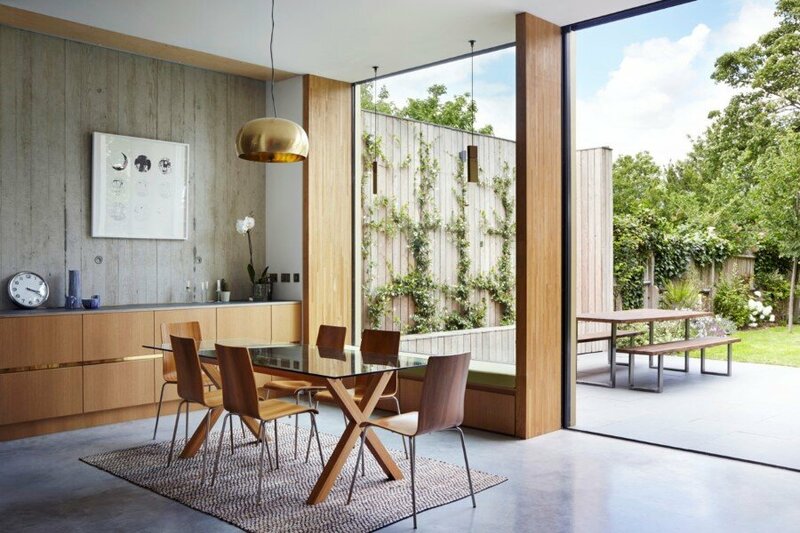 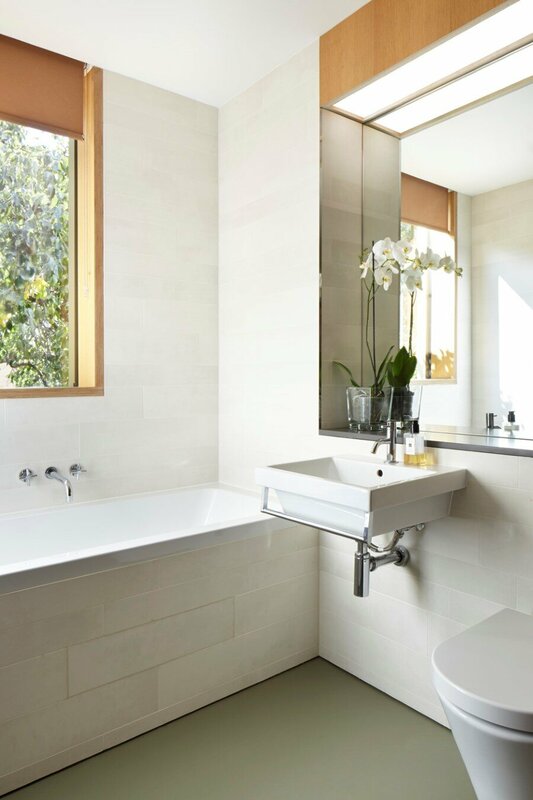 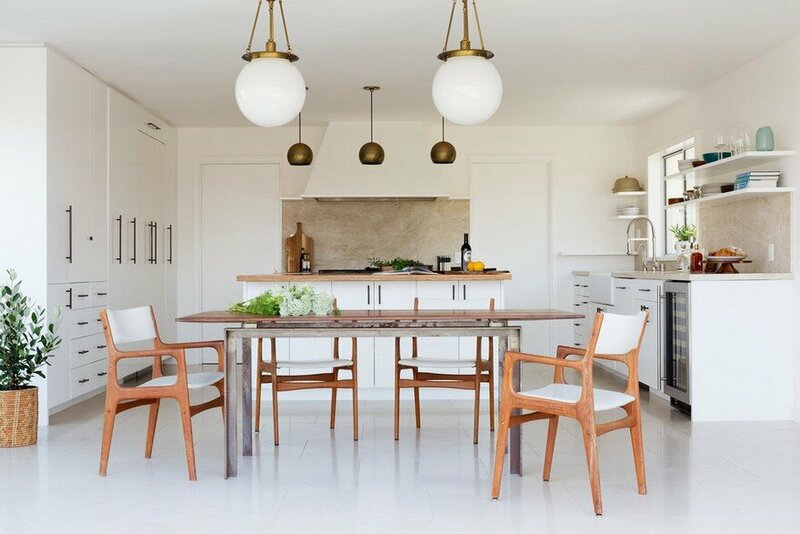 Description by Edgley Design: The concept for this backland house began with a 100 year old pear tree, a remnant of the site’s history as a Victorian fruit orchard. 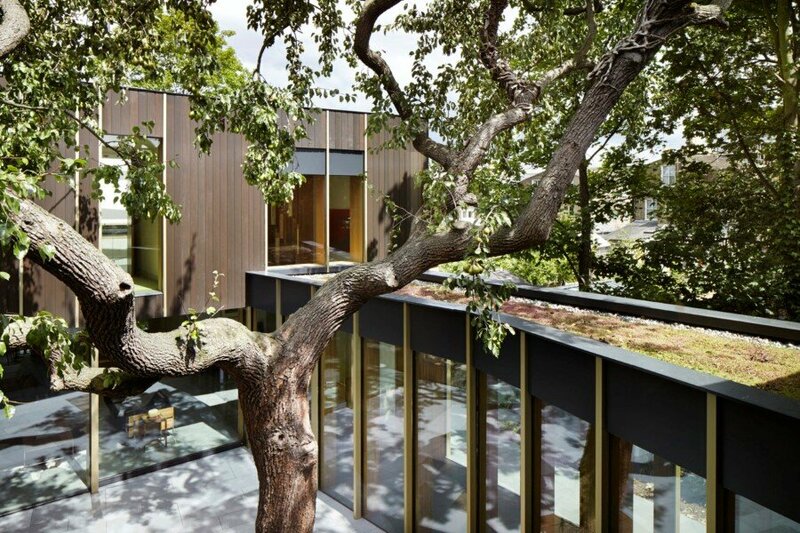 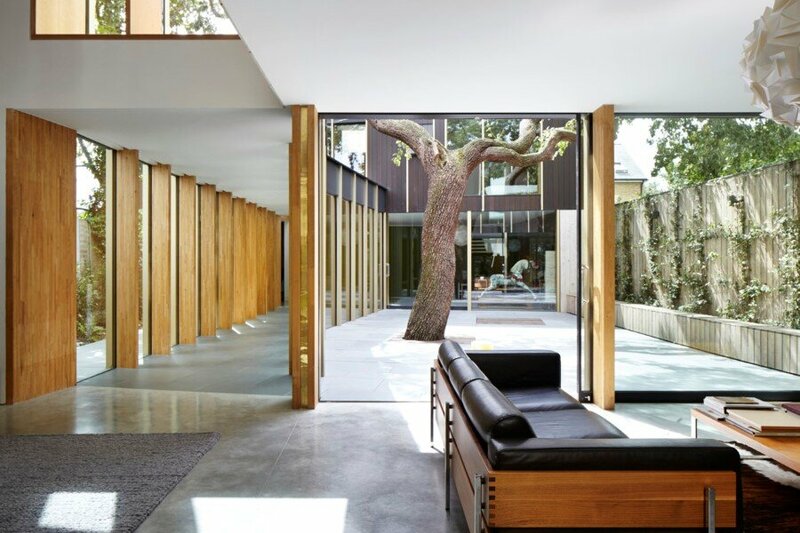 The house has been built around this tree in two volumes, linked by a glass walkway. 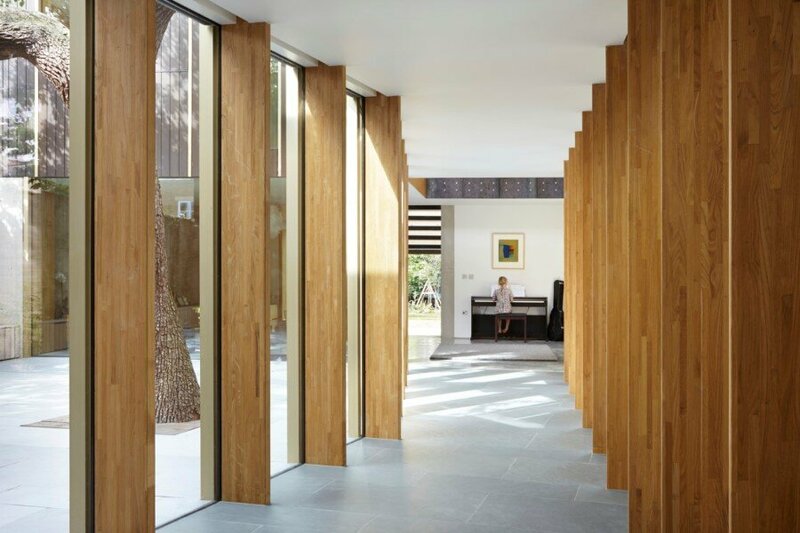 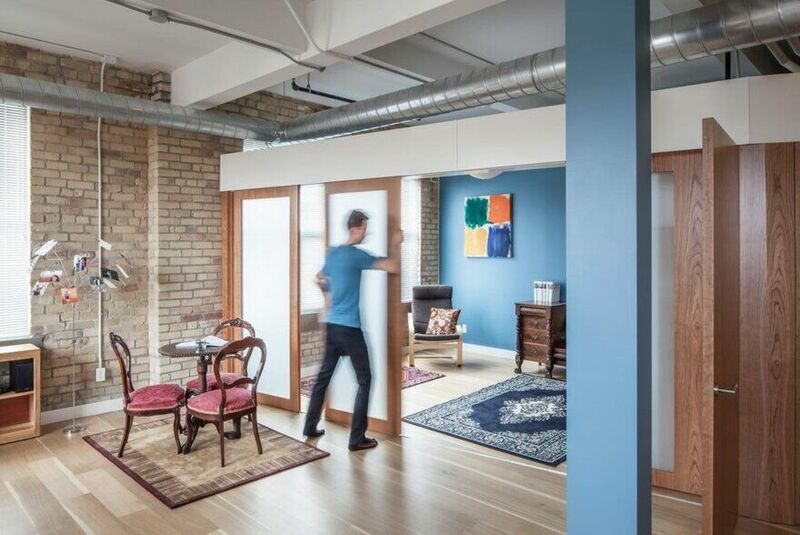 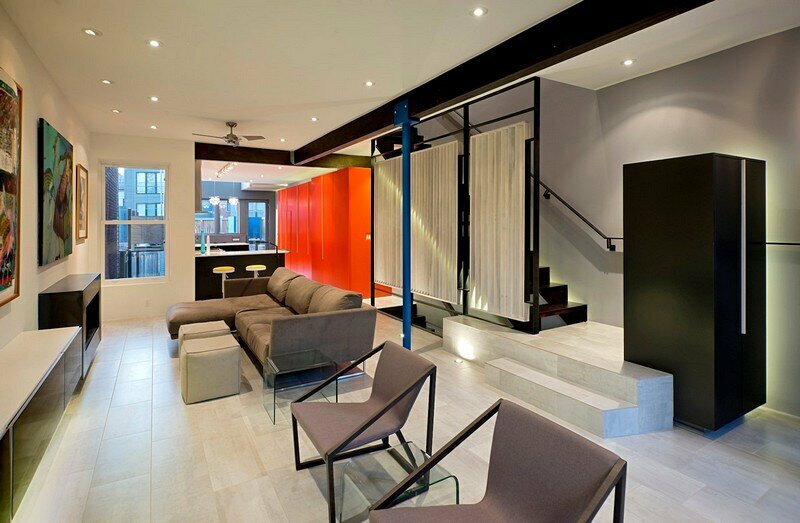 The clients wanted to preserve the character of the site and evoke its history through the building. 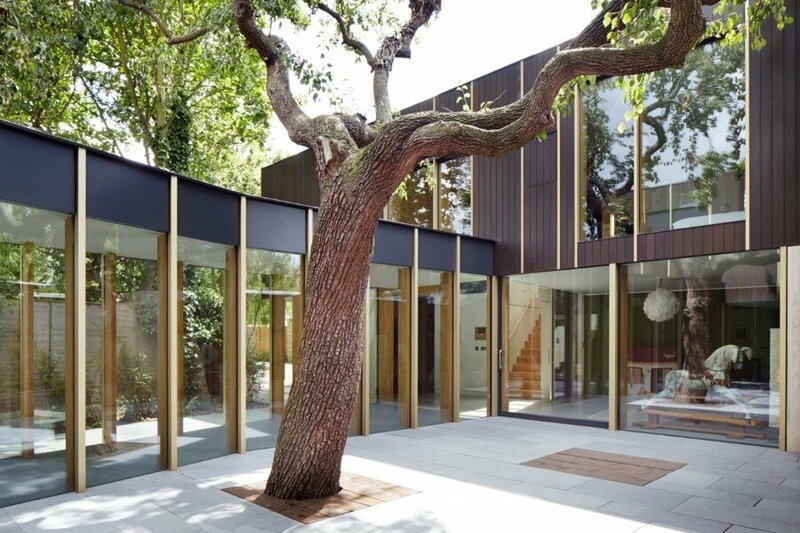 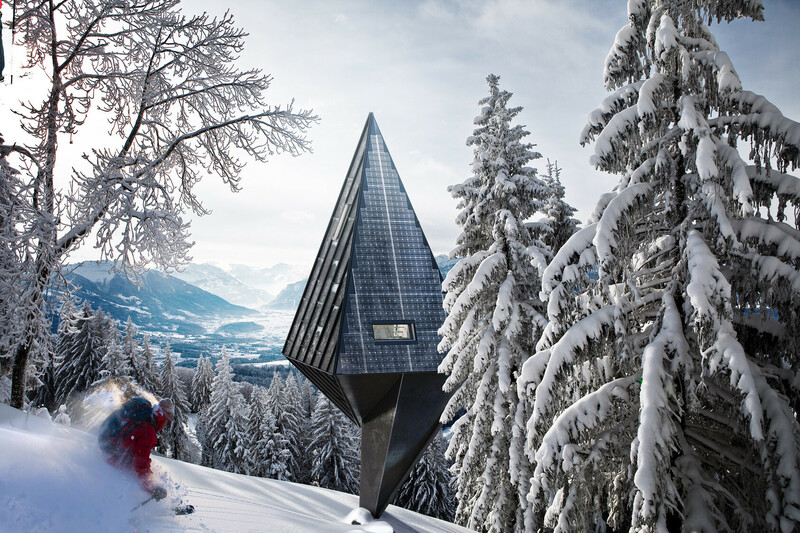 To this end there is a simple aesthetic concept to emphasis the vertical articulation of the building with views through the building defined by slender vertical elements which echo the experience of looking through trees. 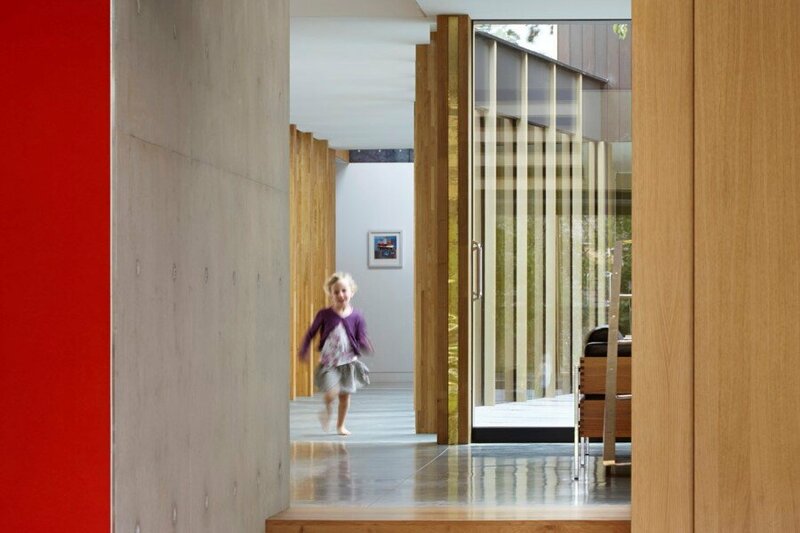 Board marked concrete to the ground floor walls supports a timber box at first floor, with openings framed by gold aluminium trims.